Tight Line is Atlanta’s leading exterior remodeling contractor servicing homeowners throughout the metro area with quality workmanship in Siding Installation, Window Replacement, Roofing, Gutters, Screened Porches, Decks, Front Porch Redesign, Concrete Garage Floor Coatings and more. Whether the job is replacing your front door to a complete home makeover, we’re confident we can deliver the highest quality remodel of your exterior at an economical price. Tight Line was founded in 2003 on the principle that superior customer service will differentiate us from other remodeling contractors in the market. This means doing the simple things well for our customers such as, showing up on time and doing exactly what we say we are going to do. Terry Taylor, the founder and President of Tight Line, has over 30 years of experience in the construction industry, previously holding the position as Director of Sales for USG Corporation a Fortune 500 building materials manufacture. 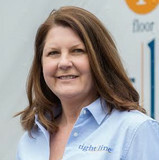 Terry’s reputation and commitment to customer service is the driving force behind Tight Line’s high standards. Nelson Exteriors was established in South Carolina in 1977 and has been serving the North Metro Atlanta area since 1990. We are a family owned and operated business that is currently in it's 2nd generation. We pride ourselves on our attention to detail and making our customers feel satisfied with the work that we have done. We are a step above our competitors in that we have supervisors and foremen overseeing each job, whereas our competition usually only has one of these available to assist you. In doing this, we provide a level of communication and quality unparalleled in this industry. We look forward to hearing from you and helping you with your next home improvement project. Verge & Associates: Painting - Siding - Windows - Decks Verge & Associates was founded in 1994 with a central core business mission - “to treat each home as if it were our own.” Over the past twenty years this straight forward mission has resulted in thousands of thrilled clients, multiple awards, and recognition as an industry leader. This mission also drives each of our decisions and guides us to daily ask (and then build precise systems to answer) the following five questions: "How would we want our families, parents, grown children, and best friends to be treated if they were having painting, siding, windows and deck projects done on their homes?” “How can we create high value for our clients, exceed their expectations, and remove the 'hassle factor' when it comes to home repair?" “How can we insist that only the best materials and installation procedures are used on Verge projects?" “How can we be the most knowledgable and best informed experts possible and how can we make sure our clients share in that information at whatever level they desire?" “How can we bring world class business and communication processes to both the contracting world and, more importantly, individual projects regardless of their size?" The answers to these questions have created a business culture unique to Verge & Associates. One driven by constant and never ending education, training, innovation, and implementation. The answers provide us with a map to be sure your project is value driven, beautiful, and has a long lifecycle. From the office staff to the project managers and craftsmen, we are professional, precise, and proficient. Call today to schedule a free consultation and estimate. Painting Plus provides a multitude of services; a one-contractor source for all homeowners needs. That’s how Painting Plus differentiates itself in the competitive Atlanta residential market. All of their services are completed “In House” including James Hardie fiber cement siding, additions, screened porches, outdoor living areas, gutter installation, windows, doors and painting. MWT Home Improvement & Marc's Window Team offers a wide variety of replacement window products and the highest quality installation services. A friendly, straight forward approach is what customers can expect from MWT while shopping for the right company to manage their window replacement and home improvement needs. With MWT, you'll find that replacing your windows is a quick, clean and affordable process that adds beauty and value to one of your most important assets. Thanks for considering MWT Home Improvement & Marc's Window Team. We look forward to serving you! HomeStar Exteriors is a well-respected full service restoration company located in the Atlanta area. It is our goal to provide superior workmanship to residential and commercial clients for all of your painting, roofing, siding, windows and more. We pride ourselves on using only the best products and people to ensure a quality job every time. Why Choose Us? HomeStar Exteriors offers the expertise to help you renovate your home or business into something you’ll be proud of. We pay close attention to details and make a concerted effort to understand the desired result. Upon the full understanding of goals, budget and design objectives, we will facilitate the solutions to meet your needs. Some companies offer great pricing, but simply cannot fund the resources to service their customers. At HomeStar Exteriors we operate on a solid financial foundation. Introducing the New Look of Cultured Stone Our homes are an expression of our true selves and the heart of our everyday activities. We invite you to explore Cultured Stone® veneers and the many ways these unique design elements can help you transform your home into a tangible expression of your dreams. Cultured Stone® manufactured stone veneer, will not only enhance the beauty of your dream home, it will also add value and maintenance-free performance while helping to protect the environment. Whether you choose Cultured Stone® manufactured stone for interior design elements, such as fireplaces and kitchen backsplashes, or exterior accents, you can expect the finest quality from the company that has led the industry in innovation for more than 50 years. 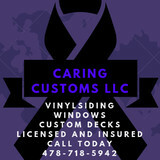 Bringing the Metro-Atlanta Area 14 years of experience in Cornnice, Siding, Trim, and Deck work. Leaving you with an outstanding finished look. 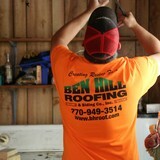 Free estimates are given , so feel free to give us a call at anytime. We specialize in roofing replacement, vinyl siding, fiber cement siding (hardie plank or similar), and seamless gutters. We are customer oriented and will always offer the best quality of work. Remodeling Masters (RM), is the Atlanta Area’s leading siding contractor. RM has been installing siding in the Atlanta Area for nearly a decade and exceeds the highest levels of experience, training, integrity, and customer satisfaction in the industry. We specialize in James Hardie fiber cement products, but we know your home is special and that your needs are unique. So if your dream home is cedar, board and batten, shingle, or another siding product, RM has the experience and craftsmanship to make your dream a reality. The siding of your home is a hugely important factor when it comes to first impressions; a damaged or mismatched exterior can cast a negative light over a property’s entire aesthetic! If you need new siding installed, or your exterior is in need of repair, repainting or replacing, an Alpharetta, GA siding and exterior contractor can help you out. What types of siding services do Alpharetta exterior contractors provide? Wood siding needs more maintenance than less-expensive, low-maintenance vinyl siding, but with proper care it will outlast vinyl siding, which can fade and crack over time. Your Alpharetta, GA contractor might also suggest fiber cement siding, which is fire resistant and termite-proof and can come with a warranty of up to 50 years. Find siding and exterior contractors in Alpharetta, GA on Houzz. Narrow your search in the Professionals section to Alpharetta, GA siding and exterior contractors. Find out how long an Alpharetta, GA exterior remodeling contractor has been in business, view portfolios, read reviews and get contact information.